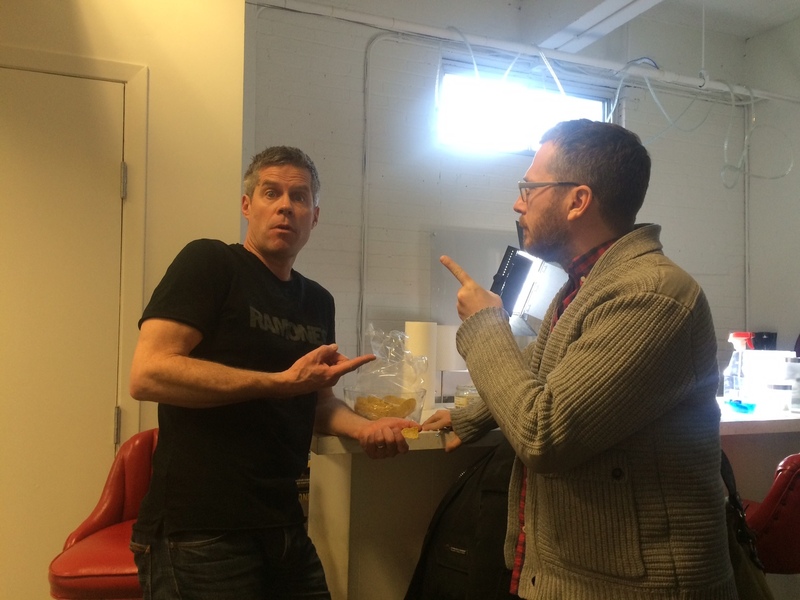 Mike is the Executive Producer of Dave Kelly Live and he is constantly on me about getting this blog written. I told him I had no ideas this week. And I was eating chips. Fine. So I did some research on the theatre. And by research, I mean I looked it up on Wikipedia. It was built in 1912, when Calgary had a population of 50,000. At the time, it was the biggest theatre in the Pacific Northwest. For 50,000 people? Really? I took out my calculator and did some quick math – if we built a theatre today that had the same ratio of Calgarians to seats it would hold about 36,000 people. That’s a big theatre. Wikipedia also told me that Fred Astaire had performed there. Along with the Marx Brothers And George Burns. Wow. Those are some great guests. Unfortunately, they’re dead. I clicked on Fred Astaire. That guy did a lot – he started as a child performer in Vaudeville in a brother/ sister act, and they performed in a string of theatres called the Orpheum Circuit, of which the Grand was one. Then I clicked on Vaudeville and found out it was a style of live theatre performance that lasted up until 1930 and was a show with a series of unrelated acts – comedy, acrobats, music, freak shows, and animal acts. 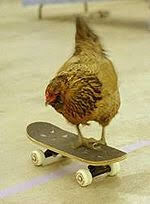 Then I clicked on animal acts and saw that you can train a chicken to ride a skateboard. They even had a picture. I know, right?! Anyway, where was I? Oh yeah. We’re doing a show at the Grand. Now called Theatre Junction Grand. I told Mike we gotta get us a chicken.